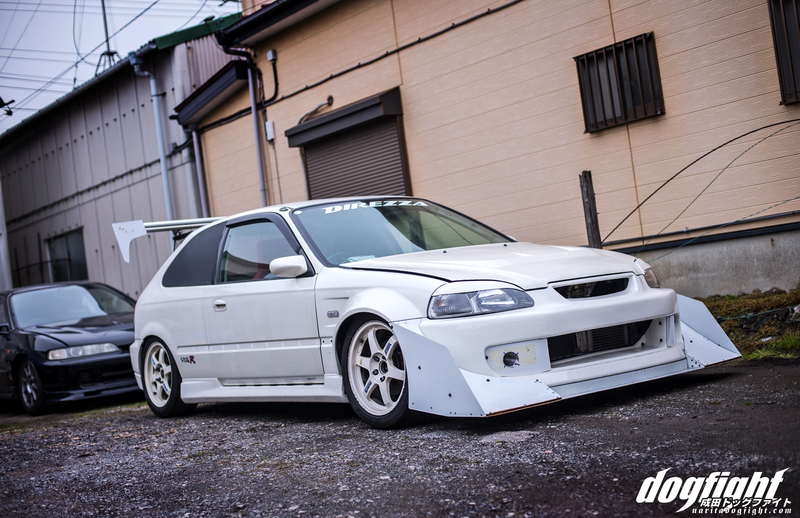 The Saturday before, Makato’s EK was having some issues at Tsukuba. 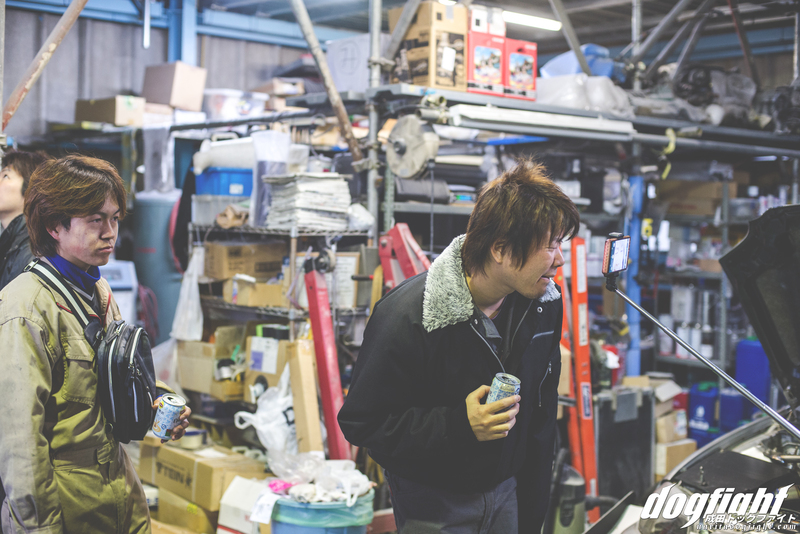 So when we arrived, Iwata was busy diagnosing the car, which gave me a chance to snap some shots in the shop. There won’t be any pictures of Iwata’s EG, as it’s in the middle of a transformation that he doesn’t want anyone to see yet; I can say, however, that it’s going to be pretty wild. The issue turned out to be a bad MAP sensor, but you know how long it takes to figure out some issues. Initially they thought it might be the distributor, so at the track they had changed it out. It didn’t work though and they ended up towing the car back on Saturday afternoon. Once it was back at Work, however, Iwata was easily able to go through the motions in finding out what the real issue was. 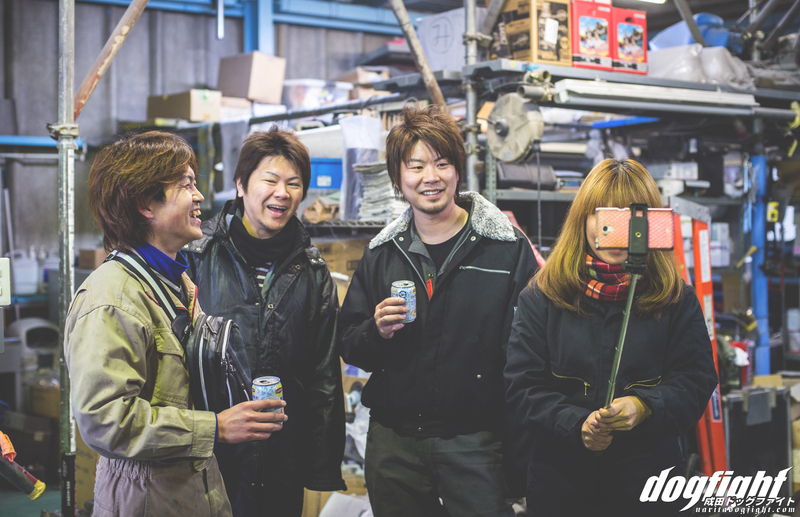 After he had finished, an intense game of Janken (じゃん拳) broke out to see who would be the one to buy drinks for everyone. Kubo lost. There’s not much point to this post – I kind of just wanted it in a place for record keeping. 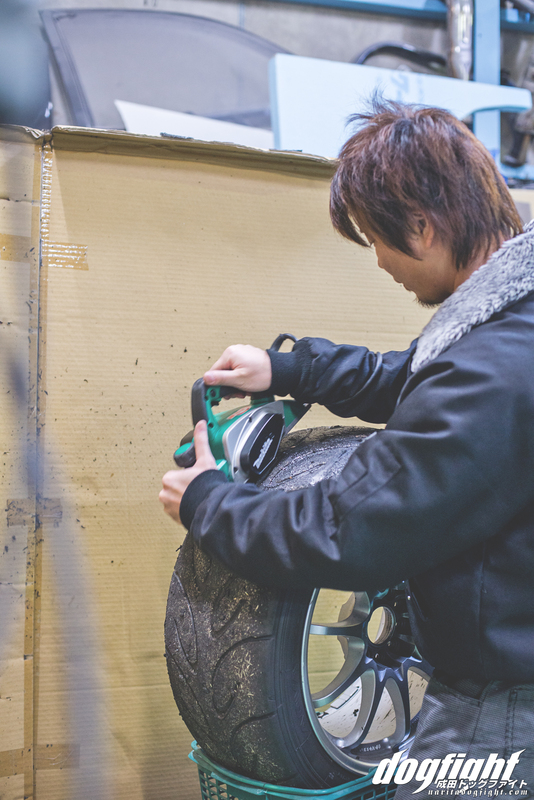 Shaving tires in the corner for the next event. 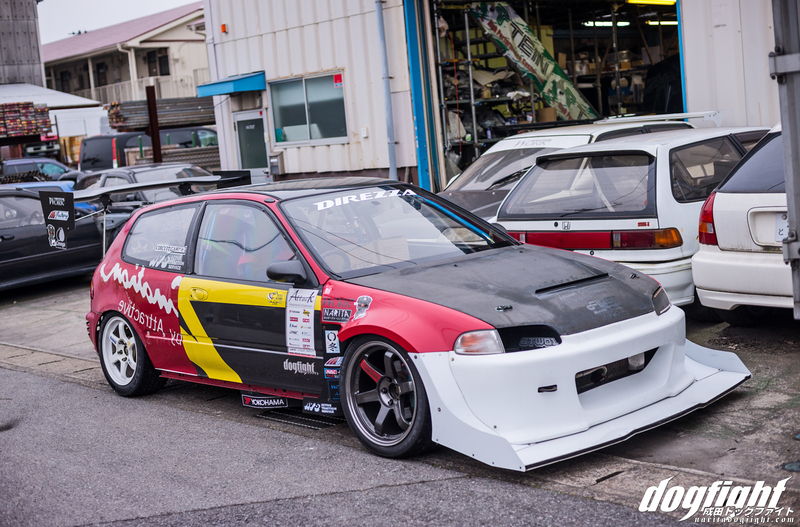 Kubo’s EG with the fresh front end – really looking forward to this car being painted. 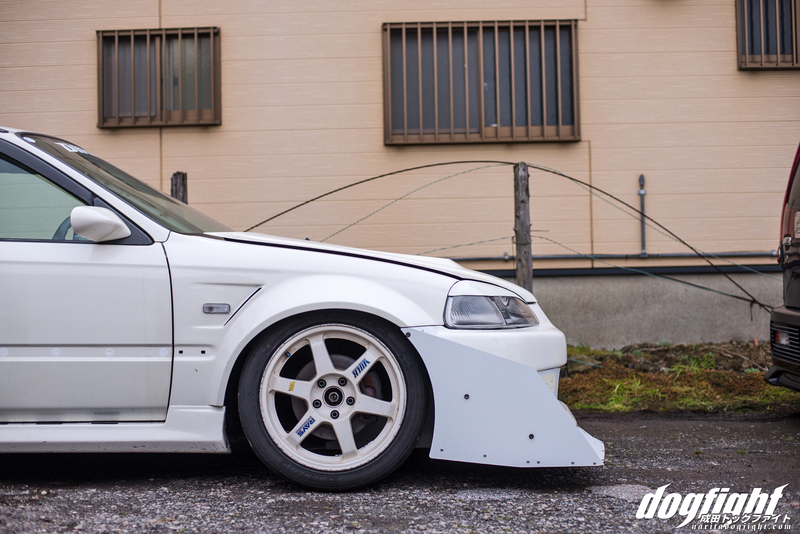 Miyuki’s EK was resting in the lot outside the shop so I snagged a few shots. After a having had a really long Saturday, it was nice to sort of decompress in the countryside for a few hours. 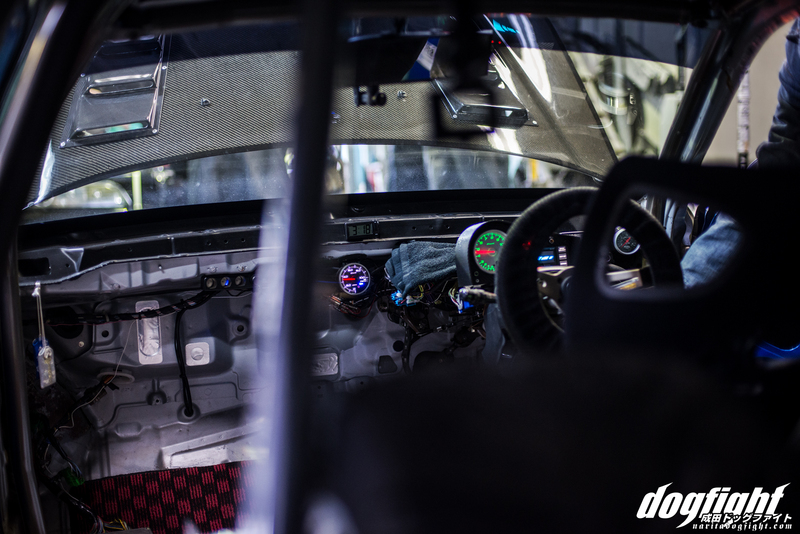 I was also able to get a closer look at Sato’s DC – which I’m sure you’ve seen by now. This next week will be sort of a bust for site updates, I’m dedicating all my time to getting the shirt orders processed and sent out to everyone. I’ll be back with some more good stuff soon.